We can hardly believe that another month has already come and gone. Between the shorter days and cooler temperatures, time seems to speed up during this time of year. While October will be missed, we are excited at the arrival of the new month. As we welcome November and look forward to the fast approaching holiday season, we are thankful for many things and new fall performances! That being said, allow Museum Tower Dallas to present "New in November: A Guide To Dallas' Best Entertainment." Take advantage of all the art, culture and sophistication our city has to offer this month. Bundle up in your sweater and stroll over to one of Dallas' finest performing art venues for an evening of autumnal indulgence. Holiday performance information is coming soon. Bon spectacle! 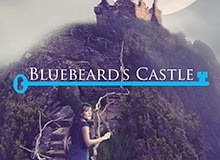 Journey with the Dallas Symphony on a mystical, musical tour of Bluebeard's Castle. A one-act opera composed by the famous Hungarian composer, Bela Bartok, this elegant performance is marked with an aura of darkness, mystery and strong psychological undertones. A macabre masterpiece, don't miss Maestro van Zweden's performance of choice this November. Seven doors and seven secrets await.What will happen in the end? Visit the Meyerson to watch and find out in this stunning show. The Dallas Symphony Chorus debuts on the 2014/2015 season in two Faure favorites. 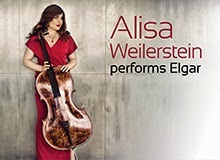 Alisa Weilerstein, called "one of the most exciting cellists of the new generation" by The New York Times, presents Elgar's masterpiece for the instrument. A work written during the disillusionment following the Great War, Edgar's Cello Concerto is an epic, unapologetically intimate lament for a lost world. Unlike any other piece ever written for the cello, this is a performance guaranteed to take your breath away. 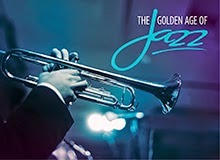 Principal Pops Conductor, Jeff Tyzik, celebrates the music and musicians who define one of America's greatest art forms in The Golden Age of Jazz. Embrace the nostalgia of days past as The Dallas Symphony takes you on a fond musical retrospective of the people and places that defined this great era in American music. Despite the Great Depression and WWII, enormous strides were made in music. Celebrate the talent of individuals like Armstrong, Calloway and Brubek as you listen to smooth sounds that soothe the soul. See it before it's gone! Figaro loves Susanna, but he's not the only one. In a single crazy, romantic day, doors will be locked and unlocked, disguises donned, kisses exchanged and innermost hearts revealed - to some of the most memorable music Mozart ever composed. Join the Dallas Opera for this wildly romantic, comedic opera. Once in a while, the term "over the top" doesn't seem nearly high enough. A king's unbridled lust and his stepdaughter's obsession with John the Baptist combine with explosive force in this lushly passionate rendering of Oscar Wilde's play, set in ancient Judea. Salome is a work that requires a phenomenal cast and the Dallas Opera delivers. Salome is a wonderful addition to the 2014/2015 Heights of Passion Season. As always, Museum Tower Dallas is at your service. Please call the concierge for assistance with ticket purchase, pre-show dinner reservations or any other accommodations. It would be our pleasure to make arrangements for you.